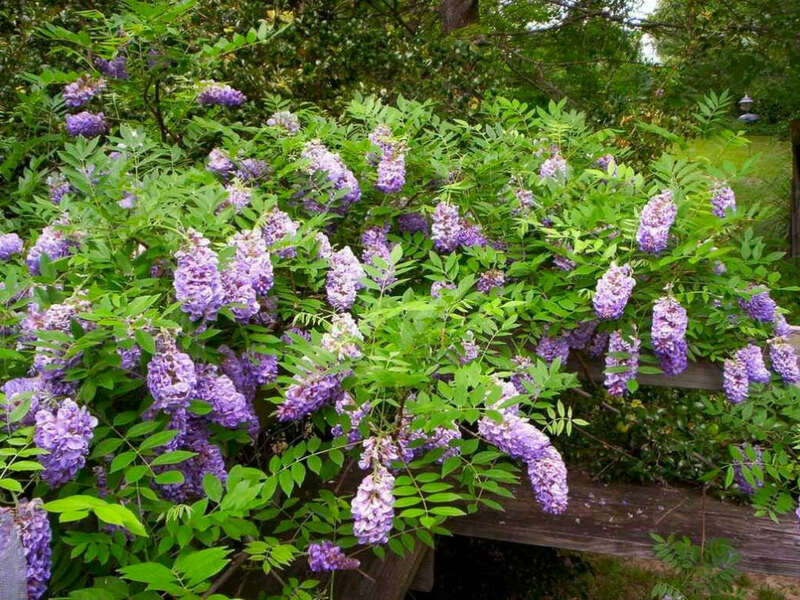 Wisteria frutescens is a woody, deciduous, perennial, climbing vine up to 50 feet (15 m) long over many supports via powerful clockwise-twining stems. It produces dense clusters of blue-purple, two-lipped, up to 0.8 inch (2 cm) wide flowers on racemes up to 6 inches (15 cm) long in late spring to early summer. These are the smallest racemes produced by any Wisteria. 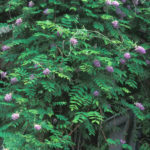 The foliage consists of shiny, dark-green, pinnately compound leaves up to 12 inches (30 cm) long. The leaves bear 9 to 15 oblong leaflets that are each up to 2.4 inches (6 cm) long. 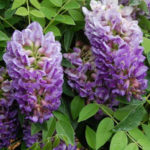 The most important factor to consider when growing Wisteria is location. 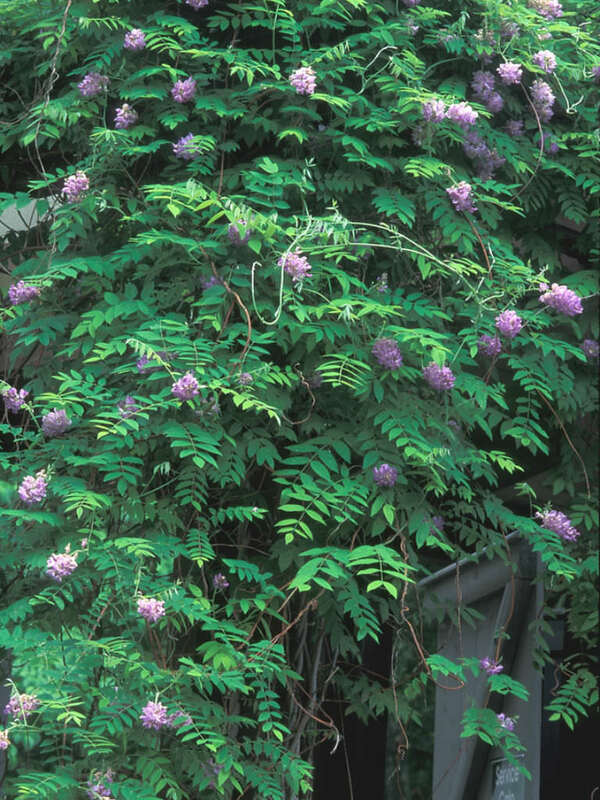 Wisteria is a twining vine that requires sturdy support and regular pruning to keep it under control. 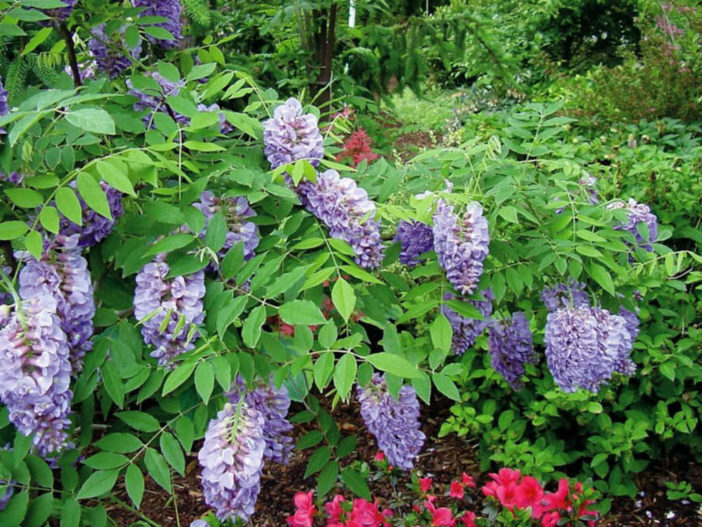 Open areas surrounded by lawn that can be easily mowed are ideal for growing Wisteria. 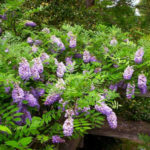 Wisteria doesn’t fair well in cold so make sure it receives plenty of sunlight. This vine requires deep, rich soil that is somewhat moist but will tolerate many soil conditions. Once planted, pruning is about the only important requirement for Wisteria vine care. 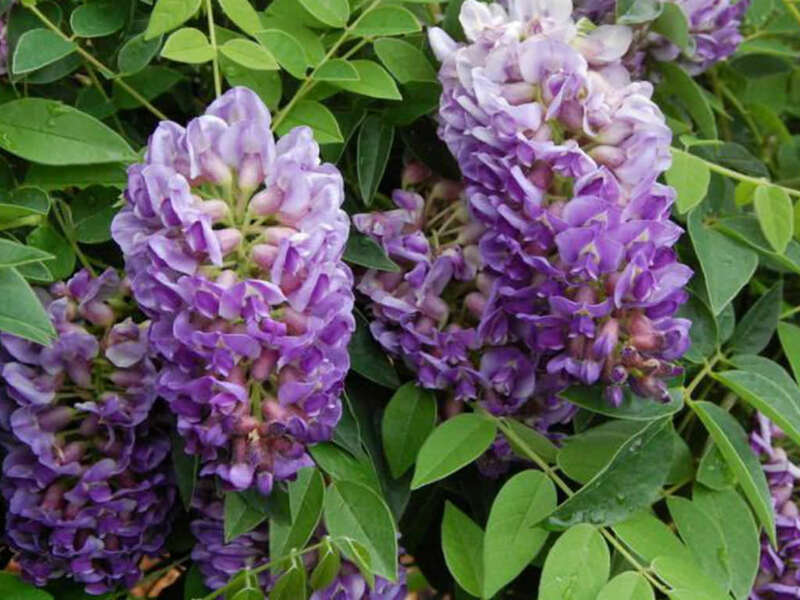 Since this vine is an aggressive grower, there’s no need for fertilizing and being drought tolerant, Wisteria requires little watering. Native to the wet forests and stream banks of the southeastern United States, with a range stretching from the states of Virginia to Texas and extending southeast through Florida, also north to Iowa, Michigan and New York.